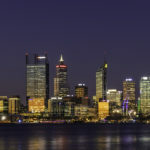 Located on the West Coast of Australia, Perth has the enviable reputation of being one of the world’s most isolated capital cities. With the next closest city being 2,700 kms away (Adelaide). However with such isolation, comes great rewards. A high quality of life, vast open spaces, clean air, crystal clear water, awesome weather, with over 278 sunny, outdoor beer drinking, days a year! With over 70 craft beer venues to visit, across Australia’s largest state. Here’s my personal pick of my home town’s best craft beer destinations. Opening in June 2015, this multi-award winning venue, located only 10 minutes East of the CBD, is now considered Perth’s de-facto home of craft beer. Named after the spirit of the Dutch Empire. That for 200 years led the world in exploration, trade, culture and art. Today, the Dutch Trading Co. shares this spirit of exploration, education and celebration from every corner of the beer world. 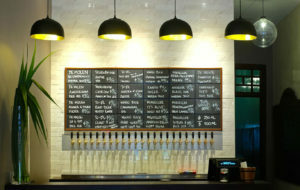 The venue has 26 x rotating taps, and over 300 unique local, national and international bottles/cans. All available for take-away, or on-premise drinking. Additionally, DTC also provides 1lt CANimal’s that are poured fresh off the tap, and sealed for you to take home. If you’re daunted by the selection on offer, or simply unsure about any of the styles. DTC’s knowledgeable staff are always happy to help out, and share the nuances of each beer, with a view to guiding you towards something you’ll enjoy. Failing that, a tasting paddle with a selection of a few beers is helpful option. DTC also offers up some tasty pub grub, by way of delicious burgers, tasty share plates, and healthy salads. Nestled in the corner of the Heritage listed Como (Old Treasury) building, on the corner of Barrack Street and St Georges Terrace. Petition Beer Corner is the brainchild of Little Creatures Brewing founders Adrian Fini, Howard Cearns, David Martin and Nic Trimboli. With 18 x rotating, independent taps, and an extensive bottled list, you’re bound to find a beer that suits your pallet and mood. If you’re in doubt about any of the styles on offer, simply hit up one of the Ciccerone certified staff. With Petition being the only venue in WA, and the second in Australia, that demands this high level of accreditation, from their bar staff. The beer selection intended to be evenly poised between WA, interstate and international or one-off specialty beers. With a broad spread of styles, one third of which, being deliberately positioned to be more approachable. Sporting 12 x rotating taps, a hand pump for English ales, alfresco tables, and a simple, bar snack focused menu – what’s not to like about Caboose? Opening in late 2016, occupying the old Velvet Lounge space, at the back of the Flying Scotsman on Beaufort Street, Mt Lawley. Caboose focuses primarily on interesting, fresh and local beers. With breweries such as Feral, Nail, Mash, Rocky Ridge, Cheeky Monkey and Black always getting a good look in. That’s not to say that their interstate brethren are left out in the cold – with Mismatch, Mountain Goat, 4 Pines, Pirate Life and Two Birds being regular tap attendees. Regardless of whether you go local, or national, they all of which get full pride of place, during one of Caboose’s regular tap takeovers. Which is typically where the brewers will bring out their ultra-small batch specials, along with their regular crowd pleasers. On the other side of the menu, you can expect share plates, pizza, sandwiches/burgers, and a tasty rare Thai Beef salad. Arguably Australia’s first craft beer pub, the “Sail” holds a soft spot in my heart, as it’s was where my craft beer journey first started back in 1987 with Matilda Bay’s original Redback Hefeweizen. Back then, this flavoursome wheat beer was always served with a compulsory slice of lemon – which was an affront to most megabrewery swillers of the time. Fast forward to today, and thankfully pallets have developed, yet craft beer still reigns supreme at the Sail & Anchor. The Sail is a large sprawling venue, spread over a number of levels, and offers over 10 x rotating craft taps, and several handpumps. Sporting brews from WA, Australia and overseas. Named after the 21st Amendment of the US constitution – which repealed the 18th Amendment mandating the nationwide Prohibition on alcohol. The 21A is a relatively new craft beer addition to the Leederville small bar scene, only opening their doors in July 2018. Sporting 9 x primarily local WA, independent taps. You’re likely to find Beerfarm, Rocky Ridge, Otherside, or Innate brewers taking up residency on one of the taps. With the occasional interstate blow-in, such as Two Metre Tall, La Sirene, Hop Nation or 3 Ravens also making guest appearances. Whilst 21A doesn’t offer an in-house food menu, they’ve partnered with local snackmeisters Jusburger and Ria Malay Kitchen, and will happily order some tasty bar viddles in for you. Originally built in 1889, the iconic Queens Hotel in Highgate, underwent extensive renovations in 1986. Subsequently going on to win a number of architectural awards. With a variety of indoor and outdoor spaces, to chill, or hide away, the venue has something for everyone. 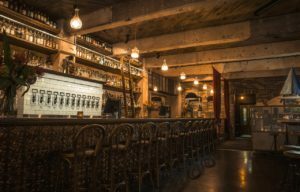 Whilst not a dedicated independent beer venue, the Queens does offer 11 x craft taps – with the likes of Gage Roads, Stone & Wood, Young Henrys, Feral and Mountain Goat all making appearance – along with a regularly rotating Brewers Loft tap. If you fancy getting up close and personal with some of the state’s best brewers, the monthly Brewers Loft events can help you achieve this goal. The educational events aim to highlight and showcase mainly local Western Australian brewers. With the likes of Bootleg, Black, Beerfarm, Rocky Ridge, Innate and Artisanal all having held council in the upstairs bar. Foodwise the Queens offers a full a’la carte menu, along with an extensive selection, of lighter bar snacks. Easily my favourite WA brewery, Feral first opened their doors in 2002, when Alistair Carragher and Brendan Varis, kicked off their vision to craft beers that were a little on the “wild side”. Feral has since gone on to become one of Australia’s most awarded craft breweries. With their iconic Hop Hog APA having won best Australian beer numerous times over the years. Strictly speaking, despite no longer being an independent brewer (after being bought out by Coca-Cola Amatil in 2017) Feral still maintains a regular cadence of releasing quality, seasonal, small batch brews, along with their excellent core range. Gaelic for delicious, Blasta brewing’s Scottish owner/brewer Steven Russell originally came from an engineering background. That was until the lure of brewing quality beer drew him into a career steeped in water, malt, hops and yeast. Opening in early 2018, Blasta’s vision was to create a brewery that served as a community hub, purveying tasty breakfasts early in the day, moving onto lunch and refreshing ales in the afternoon/evening. Added to this, its proximity to the Perth Stadium was an added bonus for fans looking to satiate their craft beer thirst prior/after a game. Inside the venue, you’ll find a massive 350 capacity space, with core range of eight tasty brews, all flowing from the in-house 20 hectolitre system. Whilst Outside, theres a 230 square metre alfresco area that provides lashings of room to eat, drink, or or let the rug rats roam free. Inspired by the Beatles song of the same name, Nowhereman is rambunctious, free, unjudging and dedicated to its customers. Situated a short 10 minute drive from the CBD, in West Leederville. Nowhereman’s brewhouse bar focuses on the simple things; atmosphere, food, beer, and shared experiences. casual, bar snacks, in a laid-back, relaxed atmosphere – what’s not to like? . Bright Tank Brewing Co. was founded by husband and wife team, Mathew Moore and Gemma Sampson, is lead by Head Brewer and Certified Cicerone, Matthew Moore. Located close to the city on Brown Street, East Perth, Bright Tank combines a working microbrewery, bar and restaurant all in one – alone with a social space for people to enjoy quality craft beer matched with tasty innovative food. Head Chef Jake Gledhill offers delicious seasonal share plates which complement the Bright Tank range of beers. Added to this, the team offer a monthly Beergustation menu that pairs each course, with a perfectly matched beer. Opening their door’s in 2008, and refitted in 2014, Fremantle’s only independent small batch brewery has an auspicious pedigree of creating top quality brews (and brewers). As is the nature of Monks compact production set up, if you wish to sample their wares, you’ll very rarely see them on tap outside the brewery. Which is a large part of their popularity with the locals. Inside Monks, you can expect a warm and inviting fit out. With an open plan dining space, comfy leather booths, and lashings of repurposed 100 year-old wooden sleepers. The Barrel Room, houses two long tables made from the sleepers as well as 30 barrels for the brewery’s ageing and souring program. Foodwise, the chefs at Monks are firm believers in using seasonal, local produce that compliment their craft beers and ciders. Little Creatures is an institution to both Fremantle, and Western Australia. 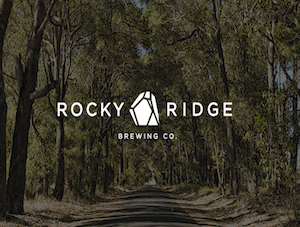 Having been one of the bleeding edge, trail makers of the Australian craft beer industry. Their original flagship venue in Fremantle, was once used as a crocodile farm. Remnants of which, can still be seen in the building’s functional brewhouse infrastructure. Beers are poured directly from the serving tanks, which are pumped straight from the brewery, so it doesn’t get any fresher. There’s a massive, open kitchen that produces great, fresh food that goes perfectly with beer, such as pizzas straight from the wood fired over and their famous frites. Located next to the Great Hall and right inside the brewery sits the Brewhouse. A favourite hang out for locals and staff, where all are welcome to try their range of beers and have a chat to their band of Hop Heads about all things beer and brewing. What originally started as a one-off, gypsy brewed festival ale for Sunset Events in 2016. Otherside Director and Co-Founder David Chitty teamed up with Rhys Lopez (ex Monks Brewing, Little Creatures Brewing) to form Otherside Brewing. From humble beginnings, Otherside now produces a core range of five beers, and several seasonal offerings, from their 1000-square-metre warehouse in the South of Perth suburb of Myaree. Resplendent with a 20-hectolitre brewery and six fermentation tanks, capable of producing around 300,000 litres of beer a year. Not one to rest on their laurels, Otherside announced late last year that they would be opening a new venue in Fremantle’s historic Artillery Drill Hall. On the food side of the fence, if get a bit peckish, Otherside have an on-site food truck. That offers a variety of tasty snacks inspired by cuisines from across the world.